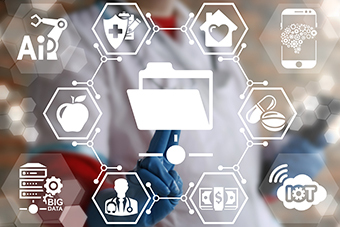 Digital health information is now being shared amongst an increasingly diverse range of healthcare providers across the primary, acute and community care sectors. This data includes coordinated care plans, referrals, discharge summaries, specialist letters, pathology and diagnostic imaging results. Secure Messaging software offers point-to-point sharing of encrypted clinical data enabling you to maintain confidentiality of patient records, improve quality of information flow and facilitate the way in which you manage your patient’s care. It can also significantly reduce overheads related to printing, faxing, mailing and scanning of referrals. Do you know how to send referrals and messages through secure messaging delivery from your clinical software? Do you know your unique address to let your partnering healthcare providers know how to message you? For further information contact your Practice Support Coordinator at the PHN.